White Plains, NY -- The Westchester County Board of Legislators on Monday unanimously approved a plan that will bring 76 new units of affordable rental housing to New Rochelle. 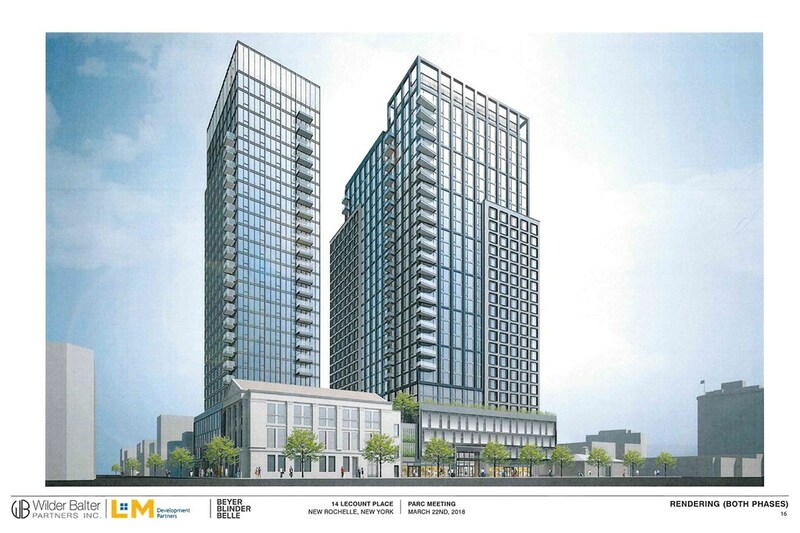 Under the plan, the county will acquire the land at 14 LeCount Place where developer Wilder Balter Partners is planning a 27-story, 379-unit development, 76 units of which will be affordable housing for people making around half the area median income. Among the affordable units will be 17 studios, 42 one-bedrooms and 17 two-bedrooms, with rents ranging from $1,000 to $1,540 a month. The county will pay $4.18 million for the land and put another $1.5 million into the expansion of sewer capacity the area. Maher also noted that the affordable units are not separate but part of the overall development, which also will include parking, a pool, a fitness center and other amenities. The development at 14 LeCount Place was just one of three affordable housing developments approved by the Board Monday night. The Board also unanimously approved a long-in-the-works plan to transform vacant buildings at the Knollwood Road entrance to the Westchester Community College campus in Greenburgh into 74 units of affordable housing for seniors. In addition, the Board signed off on a long-discussed development in Harrison that adds seven units of affordable housing in a development on Halstead Avenue near the Metro North train station. Earlier this year, the Board approved Mount Hope Plaza, a 56-unit development of affordable housing for seniors at Lake Street in White Plains.